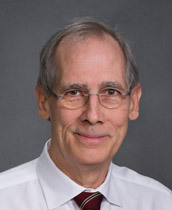 A native of Oak Ridge, Tennessee, Dr. Hemphill received his Bachelor of Science from the University of Tennessee in Knoxville before receiving his Doctor of Medicine from UT, Memphis. After completing his residency in Internal Medicine, he fulfilled a fellowship in pulmonary disease. Dr. Hemphill is certified by the American Board of Internal Medicine in Internal Medicine, Pulmonary Disease, Critical Care Medicine, and Sleep Medicine. He has held various teaching appointments throughout his tenure serving as an instructor in medicine at UT, Memphis. Dr. Hemphill is one of two SoFHA physicians that interpret sleep studies and PFTs (Pulmonary Function Testing) while working also with the State of Franklin Sleep Center.